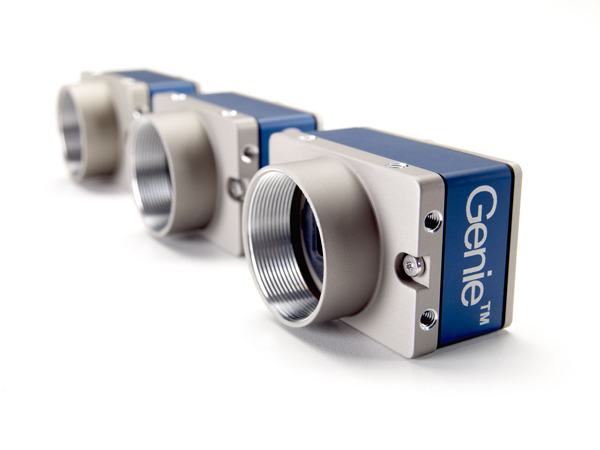 The Genie Nano-C640, M640 or M640-NIR uses the On-Semi Python 300 sensor with a resolution of 640 x 480. Teledyne DALSA's Burst Acquisition and TurboDrive feature provides up to 862 fps in VGA resolution. The sustained frame rate without Turbodrive is 392 fps. Introducing Genie Nano, a GigE vision CMOS area scan camera that redefines low cost performance. Genie Nano starts with industry leading image CMOS sensors from VGA to 18M Pixels resolution and adds proprietary camera technology for breakthrough speed, a robust build quality for wide operating temperature, and an unmatched feature set--all at an incredible price. Teledyne DALSA’s proprietary TurboDrive™ technology allows Genie Nano to deliver its full image quality at faster frame rates—often 150% or higher—with no changes to your GigE network. Like all Teledyne DALSA GigE cameras, the Genie Nano is based on AIA GigE Vision Standard to directly link the camera to a PC.